Often dubbed the polar bear capital of the world, Churchill offers a good chance of spotting this carnivorous mammal. Of course there are no guarantees (it’s called wildlife for a reason), but most tour groups which embark through the wilderness on a tundra drive, or stay in a protected lodge along the bears’ migration route, have proven successful. 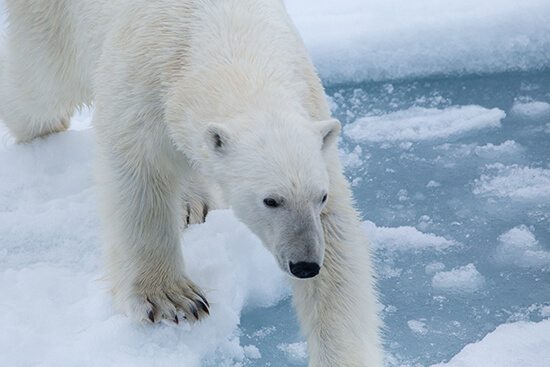 For the best chances, visit during October and November, when the polar bears are free to navigate the pack ice on a seal hunt. While you’re here you can also try and spot the elusive white beluga whale, not to mention the Aurora Borealis in the winter months. Like all good predators, polar bears are nomadic creatures. But despite their wandering ways, they are beloved across Greenland – so much so that they even appear in this island-nation’s coat of arms. This type of existence does make them tricky to spot however. 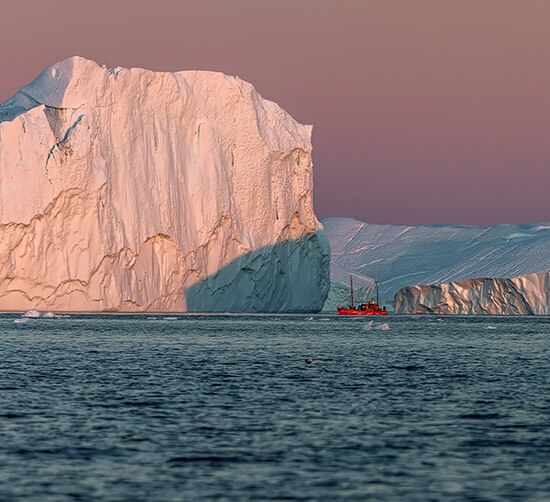 Tourists who get out to sea have been the luckiest; sailing along the coast of northeast and northwest Greenland you’re likely to spot a polar bear’s distinctive off-white fur against the icy landscape. Between May and September, during the months of the Midnight Sun, Svalbard is prime polar bear-spotting territory. About 3,000 polar bears are believed to live in this far-flung Norwegian outpost and, onboard a small vessel forging a path through the ice, visitors have reported seeing in excess of 20 bears in one trip. And even if you don’t see 20, you will get to experience one of the harshest, most fascinating landscapes on earth – complete with enchanting icy scenery, calving glaciers and crisp, snowy air. Kaktovik is the only human-occupied spot in Alaska’s Arctic National Wildlife Refuge. It feels it too – as you fly into the village you’ll observe a barren ice-filled landscape below, the white unbroken, save for a token smattering of buildings. The polar bears come here in the autumn to feast on hunted bowhead whales, whose remains are scattered across nearby Barter Island. It’s a contrasting sight to the other locations where you’re likely to spot them – instead of crossing huge glaciers, here they sleep lazily on sand spits and paddle along dark pebble beaches with their cubs in tow, just waiting for the drift ice to arrive. Up to 80 will dominate the village at any time, meaning the population here only just outnumbers them, 2.9:1. Book an appointment to see one of our Travel Experts face-to-face and discuss your tailor-made holiday options. 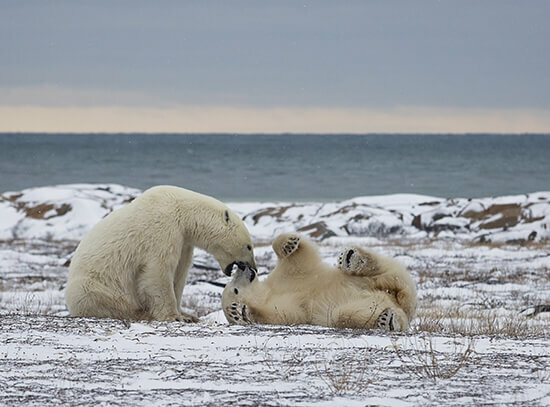 Our Experts have travelled all over the world and will help you choose a polar bear habitat to suit you.